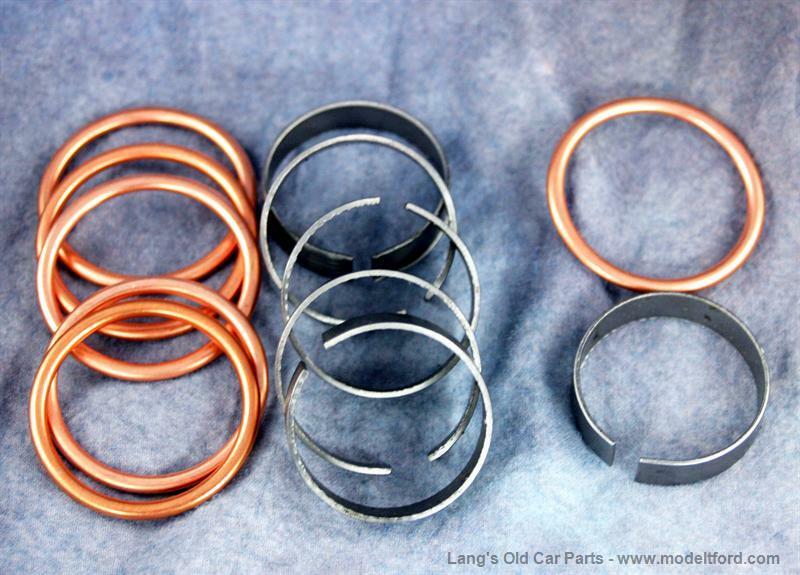 This replacement includes the items you need to completely replace both the intake and exhaust manifold on your Model T.
(1) 3063-64 – Intake and Exhaust Manifold Gasket Set, original type with glands. 12 piece set. 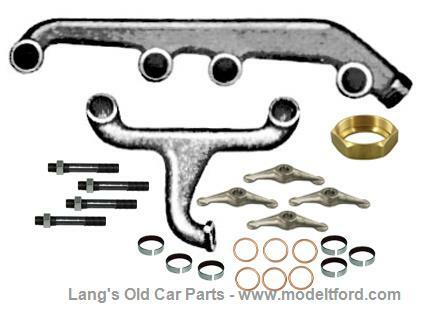 (4) 3066-6B – Manifold Clamp Studs and Nuts. If you do not own one, you also need to purchase a 3061W Exhaust Pack Nut Wrench separately. 1 Aluminum intake manifold, original style.